LISTEN TO EPISODE 30 OF MN GHOSTBOX NOW! Jay Yaple lives in a house built in 1771 that at one time caused him a lot of trouble. Demons in that house wanted to cause him and his family harm but although that all is over now, the house itself has a troubling past. 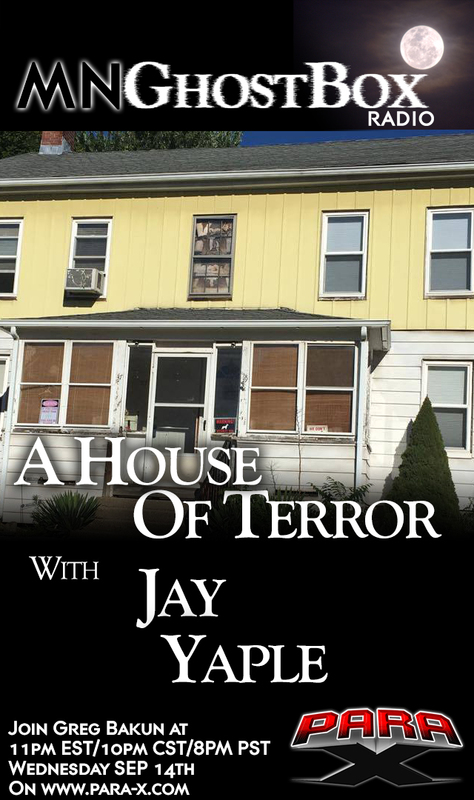 Please join us for this episode as Jay tells us what attacked him in his house and the history that surrounds this place. MN GhostBox has received numerous listeners telling us how they couldn’t sleep after listening to this episode and who were troubled by what they heard. What Jay recounts as what happened in his house are scarier than any horror movie. The house was built in 1771 and has a long history. We only got through part of his story. We will have him back on and we will have him finish the story of how he reclaimed his life back. LISTEN TO EPISODE 29 OF MN GHOSTBOX NOW! Mike Stevenson is back for another informative visit to MN GhostBox. We had Mike on in January of this year and he wanted to talk about some strange audio sounds and voices encountered during investigation s of late. 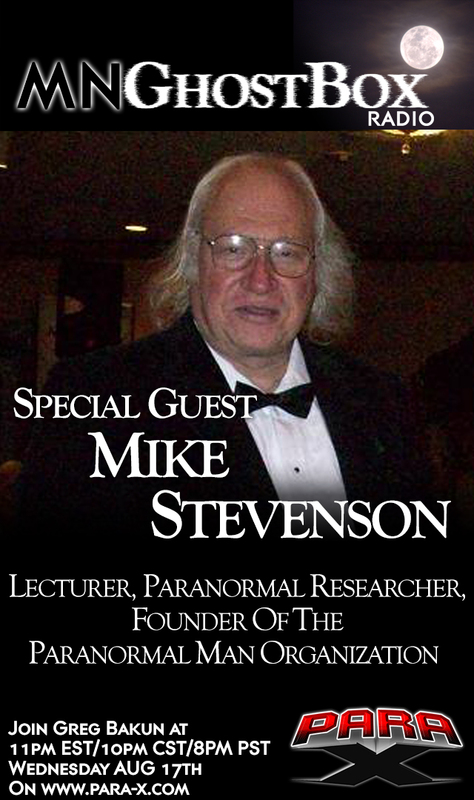 Mike is a Lecturer, Paranormal Researcher, Audio & Broadcast Engineer, Inventor, Radio Host, and founder of The Paranormal Man Organization. Mike is a very technical person who is able to easily take the technical complexities and dumb it down to the most basic of concepts. When you are done listening to him, there will be more questions than answers but in this case it’s good because what Mike talks about makes you think. LISTEN TO EPISODE 27 OF MN GHOSTBOX NOW! 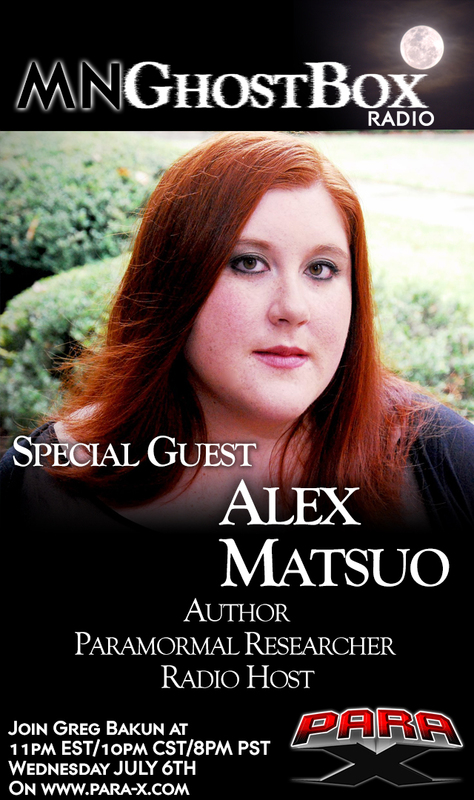 Alex Matsuo is the founder of the Association of Paranormal Study, which specializes in private home investigations and consultations. She is the author of “The Haunting of the Tenth Avenue Theater”, published by Llewellyn Worldwide, the biggest paranormal and new age publisher in the world. Alex has also published “The Haunted Actor”, as well as “More Than Ghosts” (a guide for investigators taking on private paranormal cases). If that is not enough, Alex currently hosts the radio show “The Wicked Domain” on LiveParanormal.com. MN GhostBox is a big fan of people in the paranormal who want to teach best practices of the field. This is one of the many things Alex offered us when she was interviewed. This was not only a fun conversation but a very intelligent and insightful one which should not be missed. LISTEN TO EPISODE 28 OF MN GHOSTBOX NOW! Patricia has spent 30 years researching and investigating the paranormal. What she has learned will be the subject of her first independent film A Paranormal Life, currently in production. Patricia worked independently until 2004 when she founded the North Coast Paranormal Society which was renamed in 2013 to Strange Occurrences Society. Patricia now devotes her time to researching phenomena and educating others through private counsel and lecture. 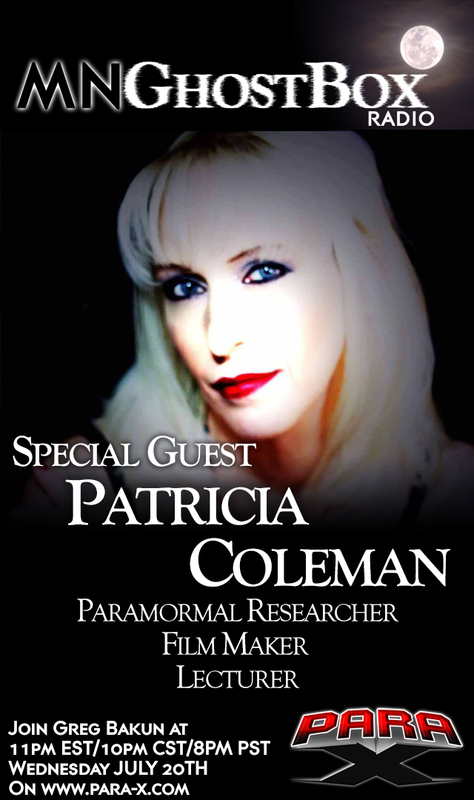 Patricia and I talked quite a bit about her documentary she is putting together including some stuff she was shooting in the immediate future plus shared her view on the state of the paranormal community. It was sixty minutes that flew right by! MN GhostBox Web Series Premiere!!! This investigation took place the night of October 18th ending the morning of October 19th 2015. Greg and Nicole visit The Palmer House hotel to do an investigation. In this episode, they meet Char and Cara as they give the history on the hotel and the background on the rooms Greg and Nicole will be investigating: Annie’s room, Lucy’s Room and the mysterious Snowman room in the basement. After they get the history and background on the hotel, Nicole and Greg begin their investigation in Lucy’s room where they start getting spirit box responses immediately. At the end of this episode, there is a trailer for the second part of this investigation released on April 14th. Please support us by sharing these episodes with everyone you know and please visit www.mn-ghostbox.org for more info on our group if you need help with a private investigation, a location for the web series or just wanting to see some of the evidence we have captured. Enjoy! Please subscribe to our YouTube channel! Click HERE to subscribe to our page! LISTEN TO EPISODE 20 OF MN GHOSTBOX NOW! MN GhostBox is back into the world of the Paranormal. 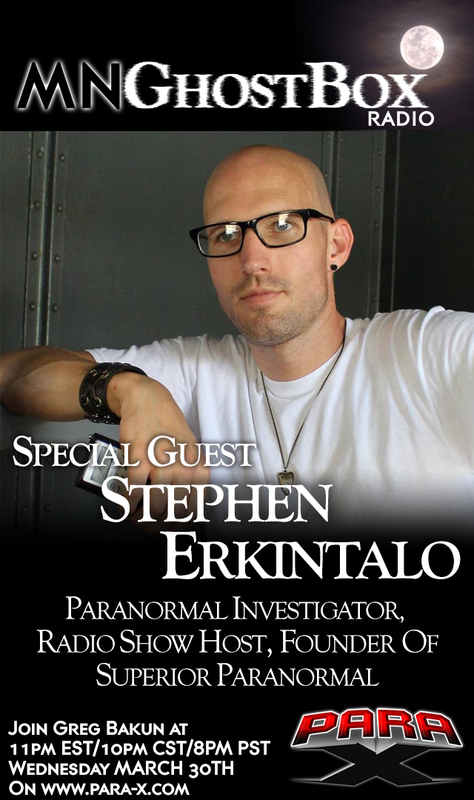 I was pleased to have Stephen Erkintalo as my guest on for this show. Stephen is the founder of Superior Paranormal out of Florida. Stephen is a very creative person who takes this creativity with him to his investigations. It’s not about fancy gadgets but getting solid evidence. Stephen has a lot of strong views on the current state of the Paranormal field and we had a great conversation. What I liked about our conversation is that although Stephen and I have views on the Paranormal that are different, we could discuss our difference in an intelligent way.